The Photo Album skin for JALBUM was inspired by an elegant old style black photo album. The default elements (arrows, icons, text, etc) are monochromatic. I wanted to created a skin that would not distract the viewer from the images being presented. Photo Album can also be customized to create a unique album. 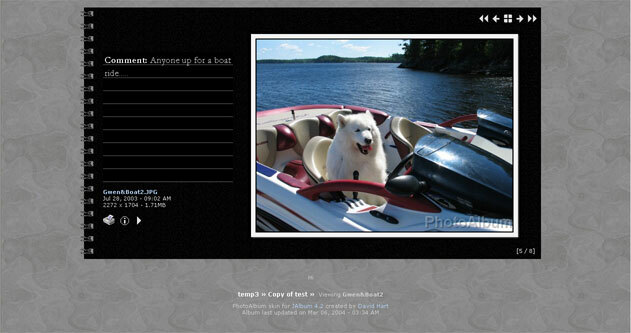 Along with a unique design and custom elements, Photo Album uses a combination of design elements and code from BlueExhibit, BluPlusPlus, and NeoExhibit. Below you will find samples of the skin. 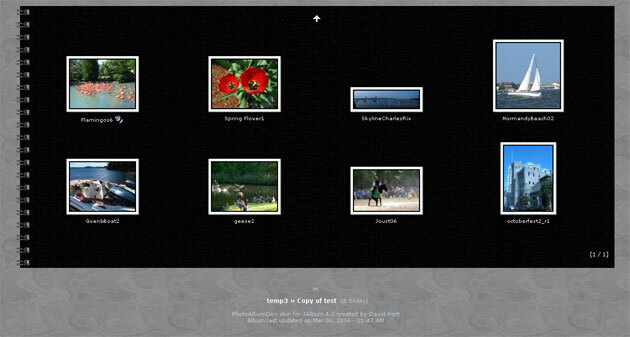 Also available is a sample album and help information (BluPlusPlus help page).